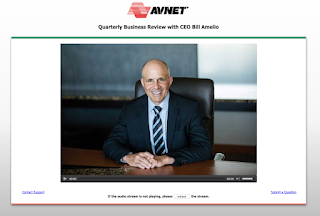 ICV produced another Quarterly Meeting Live Webcast for Avnet. Avnet headquartered in Tuscon Az is a Fortune 500 company and one of the largest global distributors of electronic components, computer products and embedded technology. In line with their leading edge processes they chose ICV Live Webcasting services to webcast their quarterly Townhall updates to their worldwide workforce. Their employees in North America and EMEA (Europe, Middle East and Asia) all participate in real time with the CEO presentations to bring the organizations' 15,000+ people together. The live Townhall webcasts are broadcast from the Avnet Headquarters in Arizona. 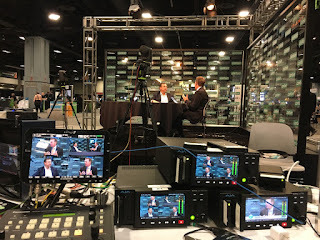 ICV's streamlined live webcasting services, including our purpose built AV production flypack equipment racks, our custom media portal webcast manager and our unmatched 15 years of webcasting experience make these webcasts a success each time. Quarterly Meeting / Townhall webcasting just makes sense. See why so many companies save time and money using affordable secure and experienced Live Webcasting Services by ICV Live Webcasting. Anywhere in the U.S. or the world.